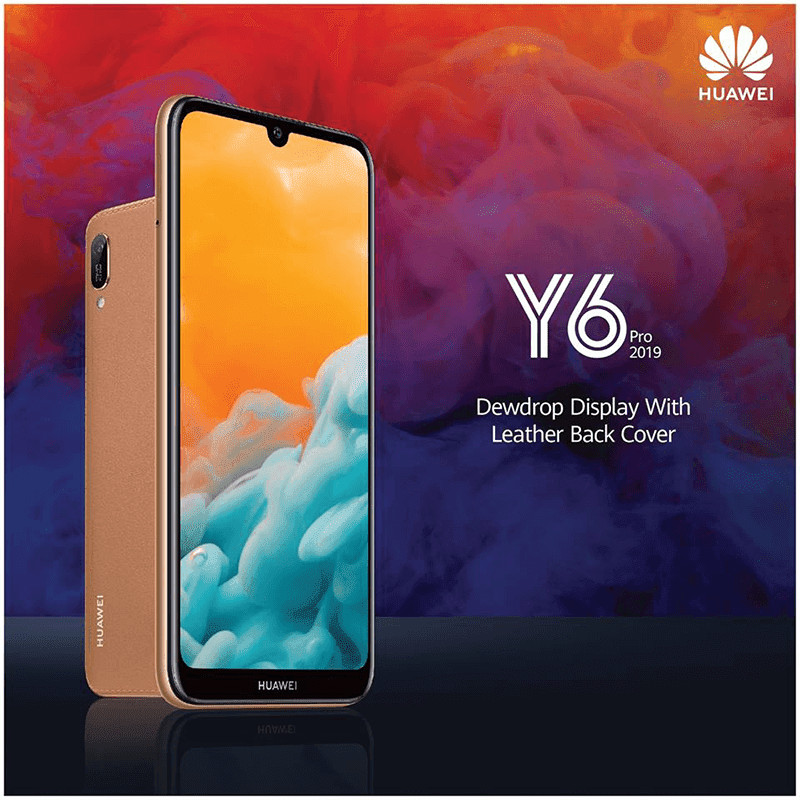 In Sri Lanka, Huawei silently launched the 2019 edition of the Y6 Pro. It's a budget phone equipped with an interesting design and decent specs. Y series phone with tiny notch! Huawei Y6 Pro 2019 comes with a version with brown leather-like curved back cover design. In front, it has a 6.09-inch 2.5D curved display a tiny dewdrop notch. It is a 19:9 screen with HD+ resolution. See also: Huawei Y Max with 7.12-inch screen and 5,000mAh battery is official! Huawei also highlights that it has a hidden ambient light sensor and a super slim earpiece. The screen-to-body ratio is unknown, but based on its looks, it should be higher than most budget smartphones even if it has a thick chin. Inside, it runs with a MT6761 quad-core processor, PowerVR GE8300 GPU, 3GB RAM, 32GB expandable storage, and 3,090mAh battery. It also comes with a 13MP f/1.8 main camera, 8MP selfie camera, face unlock, built-in FM radio antenna, loudspeaker, 4G LTE, and Android 9.0 Pie OS with EMUI 9.0 skin. There's no word on its price yet. There is no information whether Huawei is planning to make it official in other parts of Southeast Asia, including the Philippines.